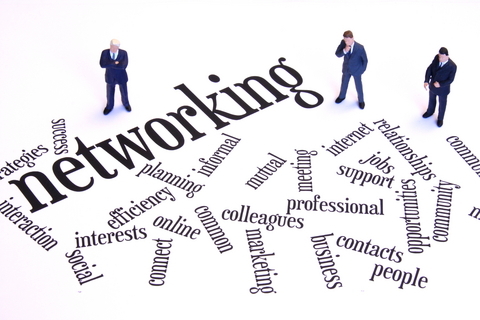 Networking – it’s what most of us fear before we gain experience. Even those with experience aren’t experts. We can keep on learning. Networking is essential for a startup founder and also for established businesses to grow their business. I started my own consulting and part-time FD business 10 years ago and have established myself purely by networking. I don’t advertise, don’t make any cold calls and all my marketing consists of networking and getting my contacts to advertise my expertise. Of course it wasn’t easy but practice makes perfect. Here are my 10 top tips to follow to make you a better networker. Most people will recognise if you’re uncomfortable and will try to put you at your ease. Once you start talking to complete strangers and get into the habit, you can be the person that recognises unease in others’ and break the ice to make them feel comfortable. Once you start to relax, you can actually have some fun networking. Relax and smile – people are attracted to a smile rather than a serious face. It helps to prepare beforehand whether attending a networking event or conference in your industry sector and research the people you want to meet beforehand. It can give some topics of common interest to talk about. I have tried many networking forums and found that most of my work came from people who were in my industry sector that I networked with on a one to one basis. The amount of work I got by attending networking events was minimal but the important point is that sometimes through these events, I got introductions to go and have a coffee with someone who later on would refer my services to some one else. If you network with the purpose of purely getting something for yourself, you will definitely fail. Instead always try to help others. Recommend someone you know when someone needs some expertise and don’t be afraid to say if you haven’t used that person yourself. People like honesty and also remember that you tried to help them. Sum up conversations with ‘how could I help you?’. You’ll be surprised how many try to return the favour when you least expect it. People like to talk about themselves and if you use restraint once the ice is broken, you’ll learn a lot by listening more. People like to talk about their experiences and if you’re patient, you may get the opportunity to ask the right question at the right time. Keep asking questions and try to learn. People will care about what you do once they realise that you care about what they do. Networking doesn’t work overnight and you have to build relationships with the total strangers you meet when networking. It takes time for people to get to trust you before they recommend you to someone else. Do follow up with people afterwards and arrange to meet them one to one if you think there are any synergies. It’s good to network in your industry sector if that’s what you think will get you work but also try networking where you live. Most places have local networking groups and you don’t have to attend all of them but select a few and try to stick to one or two that work for you. It’s surprising how many people can usually connect you to your industry sector through someone they know. Unless you’re working on a mighty secret project, don’t hold back on giving freely of your knowledge. I do that through my blog and when people ask me for help. Of course, it should not mean that you actually start doing some work for gratis since people usually want advice at a high level. Also, don’t be afraid to talk about your hobbies, sports and family. That’s what people usually talk about most when networking. The interesting thing is that those are the points that people also remember you by. Once you build your network, ensure that you nurture it. Keep in regular touch without wasting people’s time. It can be a blog or an email or regular coffees and lunches. There will be differing approaches to different people. It’s much easier to use technology now to keep in touch and also to build relationships. I use LinkedIn, Twitter and Facebook. People can connect with me easily and also look at my profile on LinkedIn to get a more detailed view of my experience. Build this into your networking strategy. I have found that large groups for networking don’t work very well, at least not for me. You can expect only to get to connect with a handful of people and when I attend conferences, I usually target to have a good conversation with 1 or 2 people at most. Smaller groups work better and you get to meet more people. Finally, you must have fun with networking and the more you do it the more natural it will become. Have you got any good tips that I may have missed? I find the hardest part about networking is just getting out of my seat and doing it, especially at big events. I just have to remind myself that everyone is there for the same reason! I feel like that sometimes esp in the evenings. If you set yourself a target of meeting at least 2 people at a big event to make a decent conversation, it becomes easier. To tag onto #3 if you ask the question and they say “Do you happen to know anyone in the xyz industry?” and you do and say so you MUST follow up and make the introduction. Even if your contact has no interest, leave it to the “stranger” and your contact to make the decision to connect. I think some folks that network are afraid to burn “capital” on introducing a stranger to their network; that their contact will be upset by the introduction. I have found this is rarely true! Introductions is what makes the business world go round…well…that and money. 🙂 Nice post! Thanks for that Shannon and glad you liked the post! As you say, making connections for others has always worked for me in the long run. People remember how you helped!